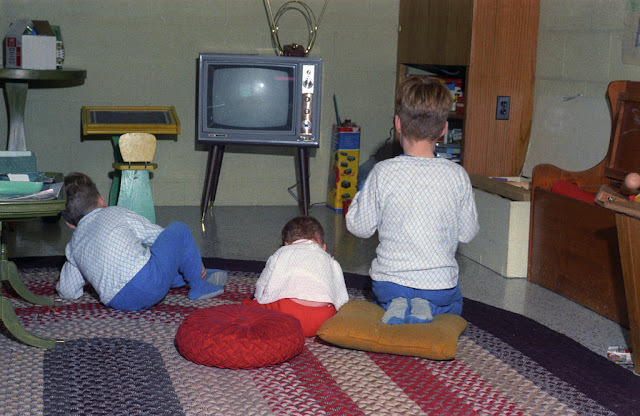 No smartphones, iPads, or any internet technology devices. 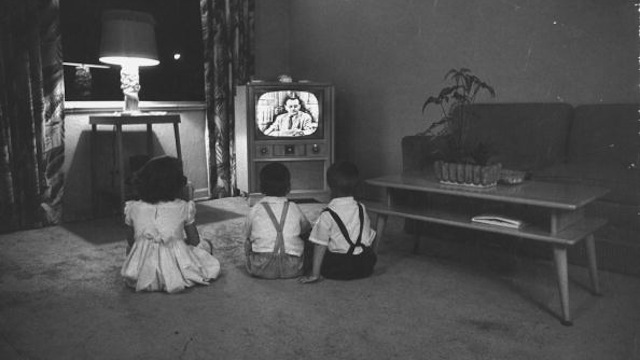 The only thing of technology for entertainment this time was black and white TVs. 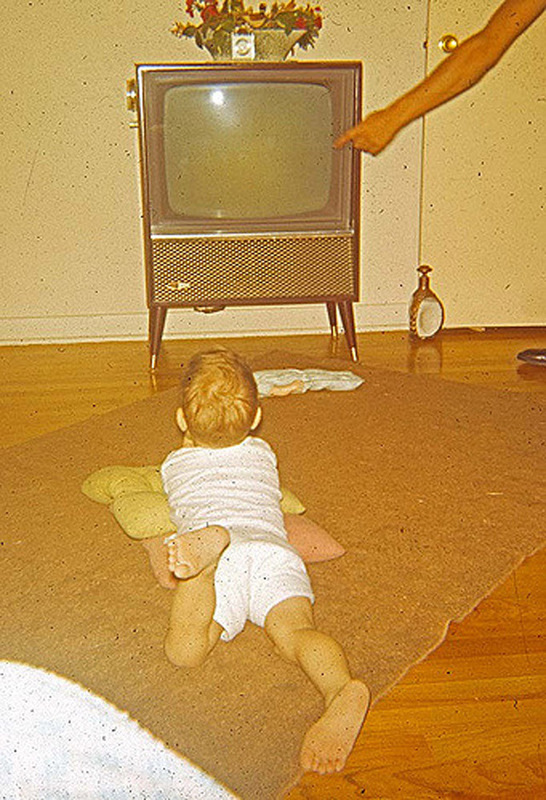 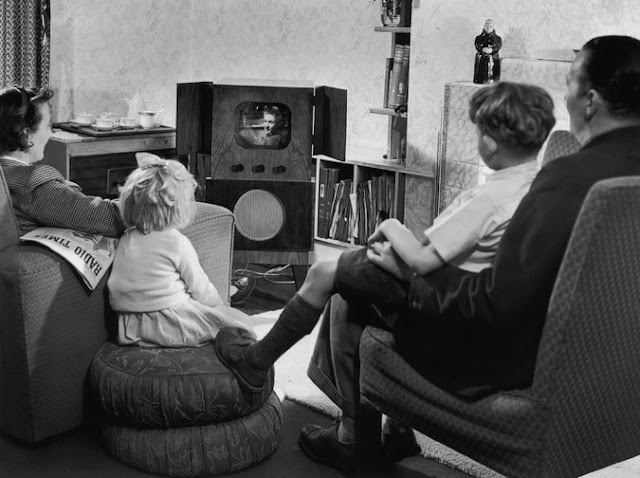 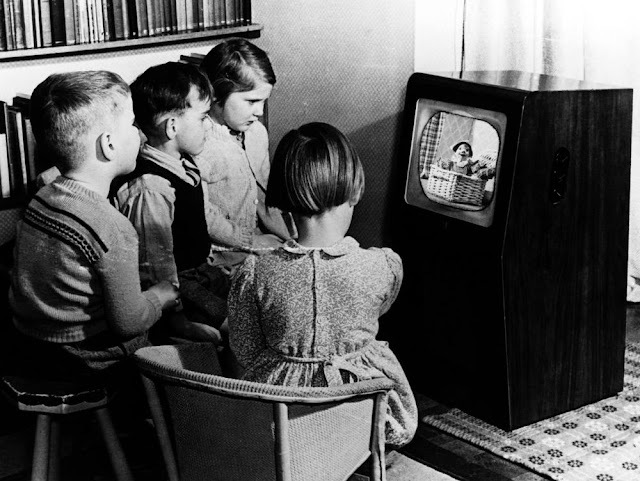 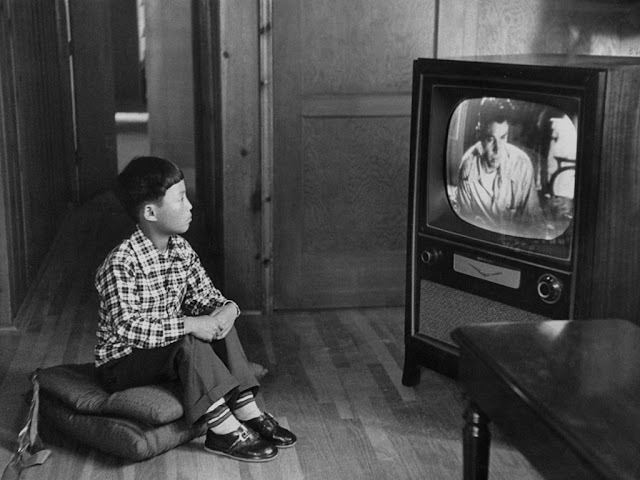 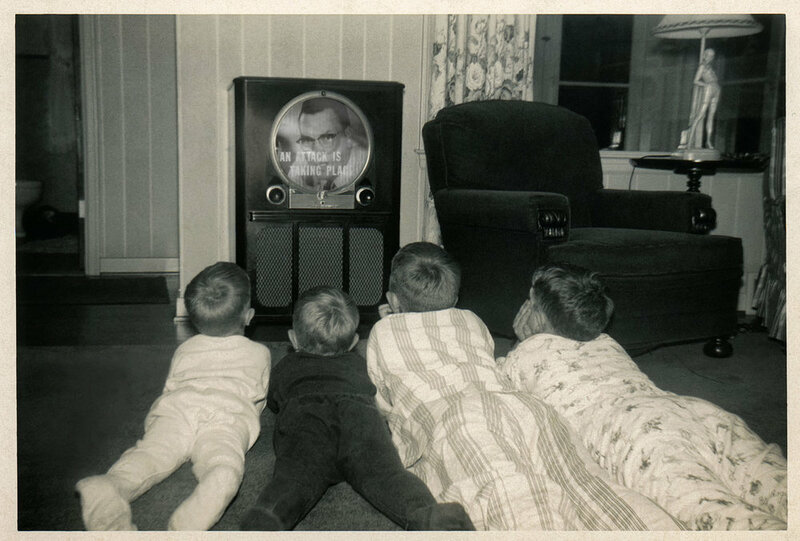 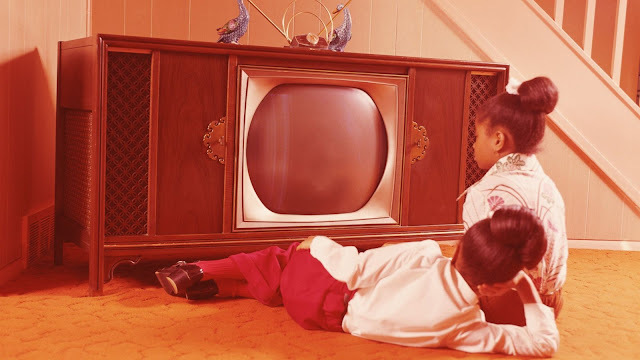 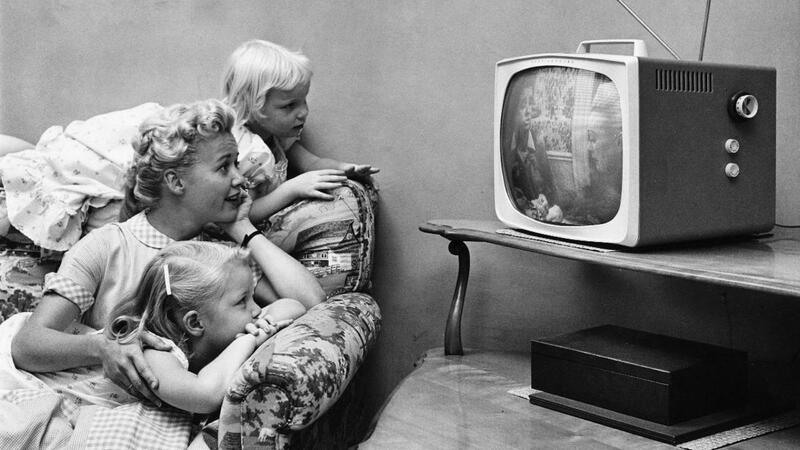 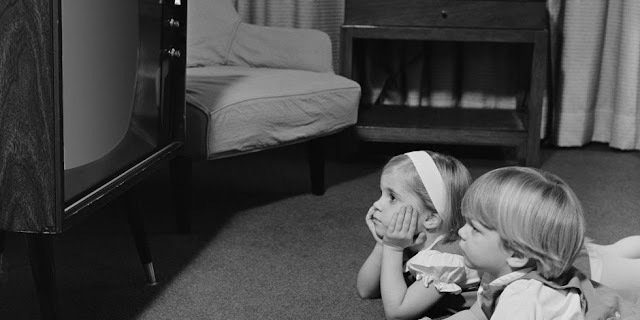 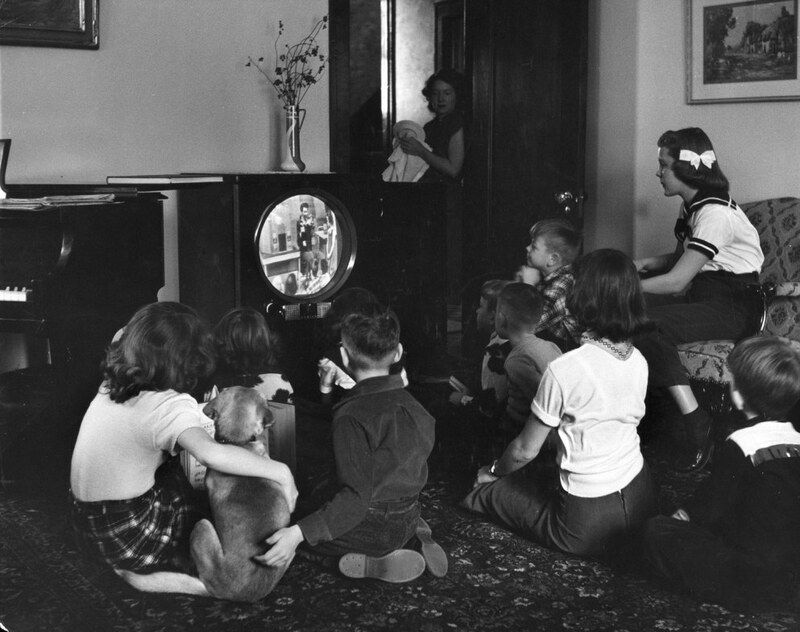 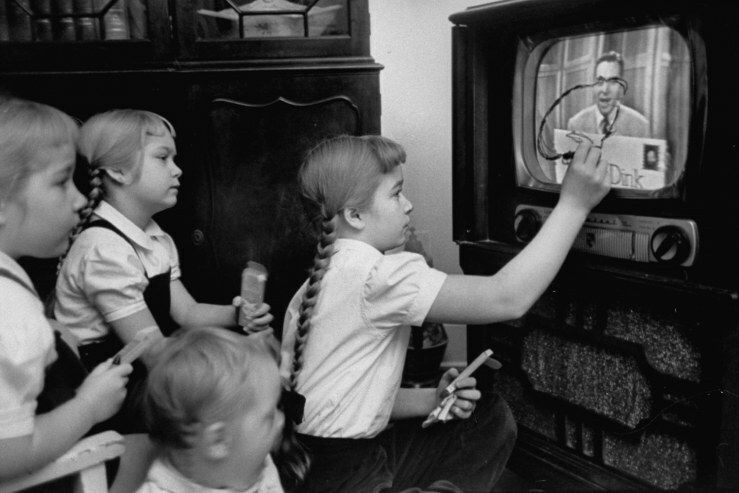 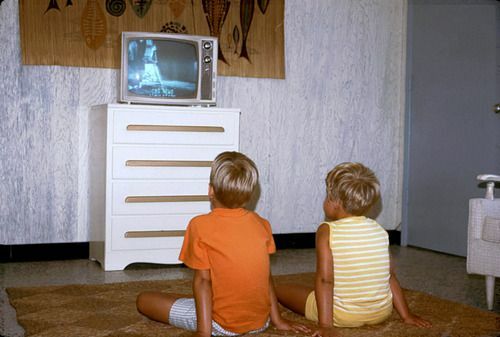 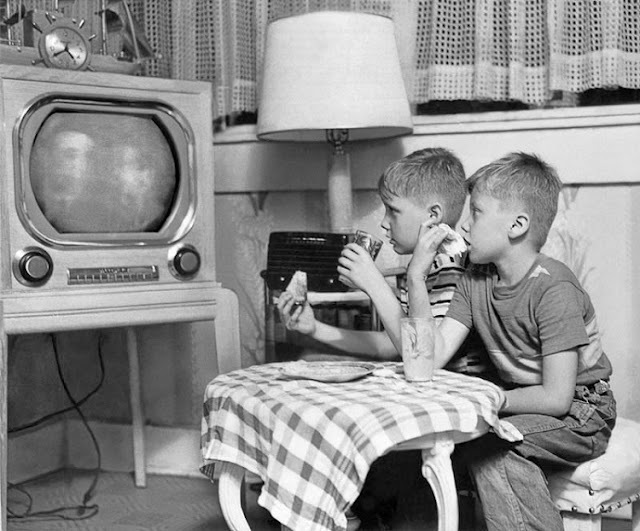 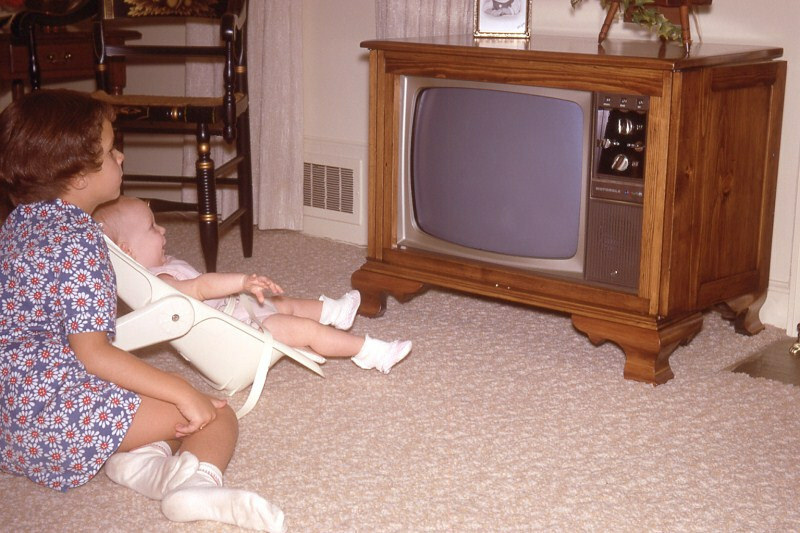 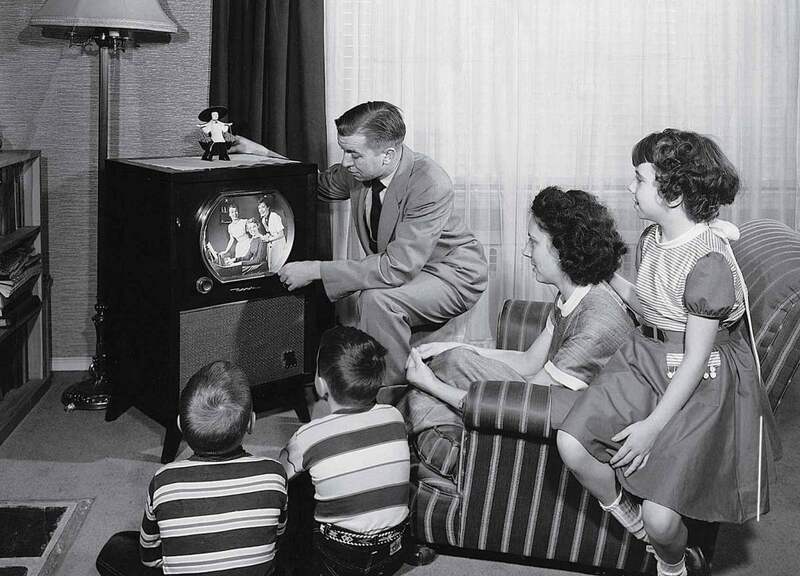 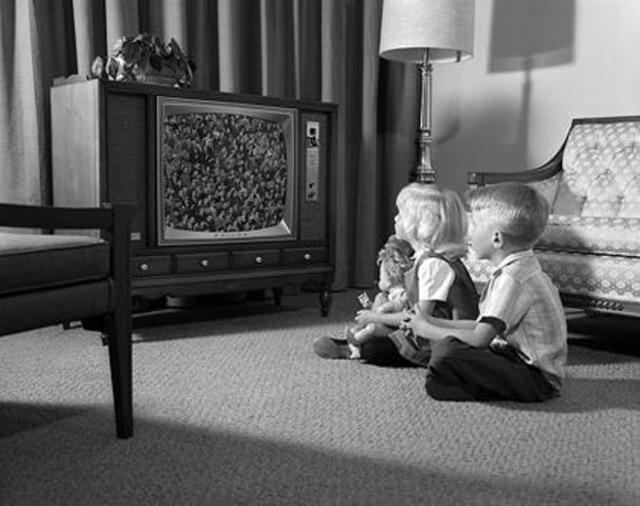 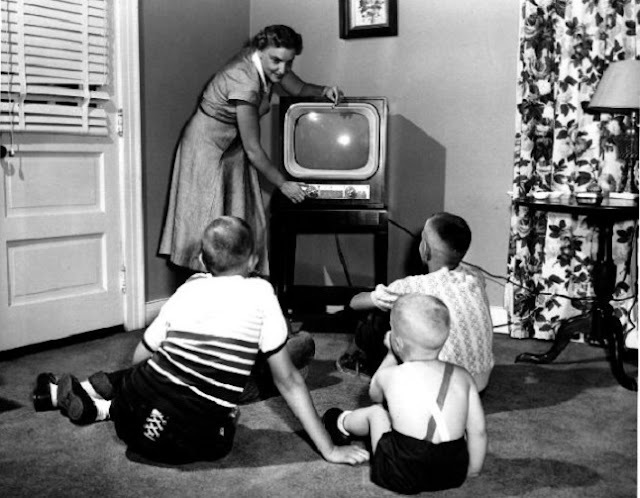 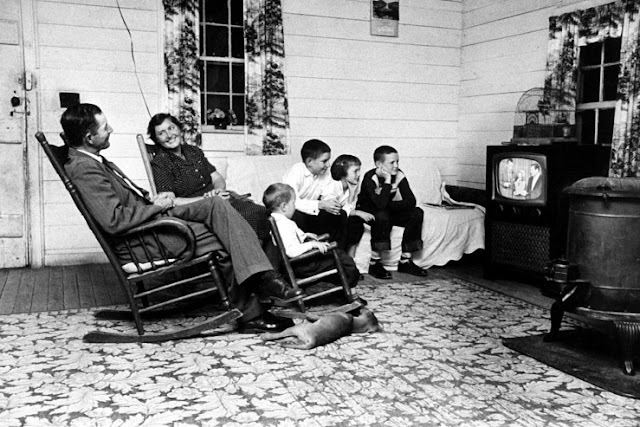 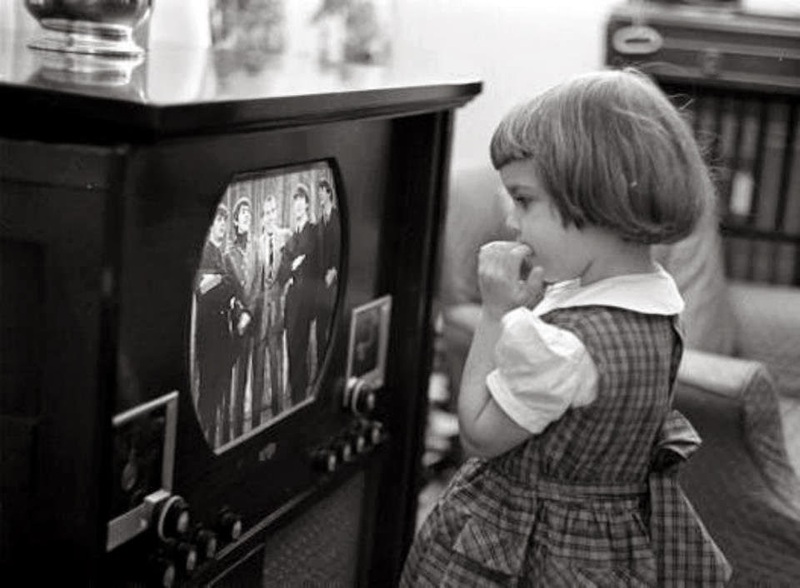 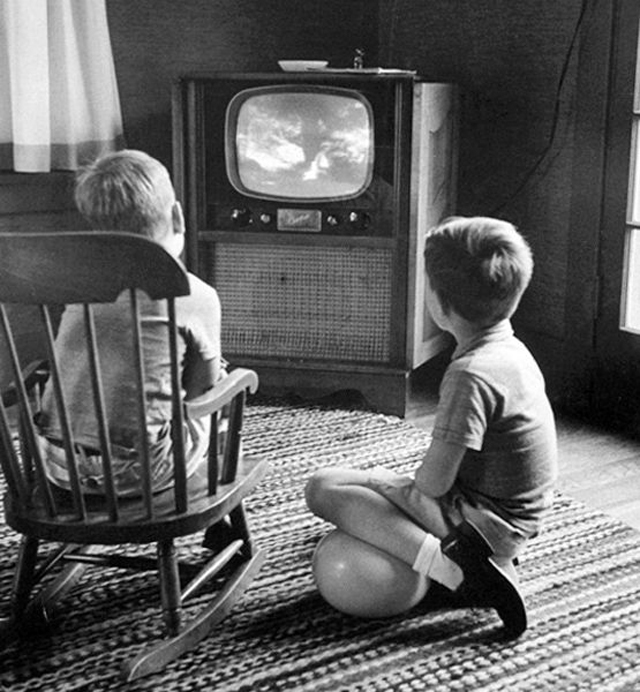 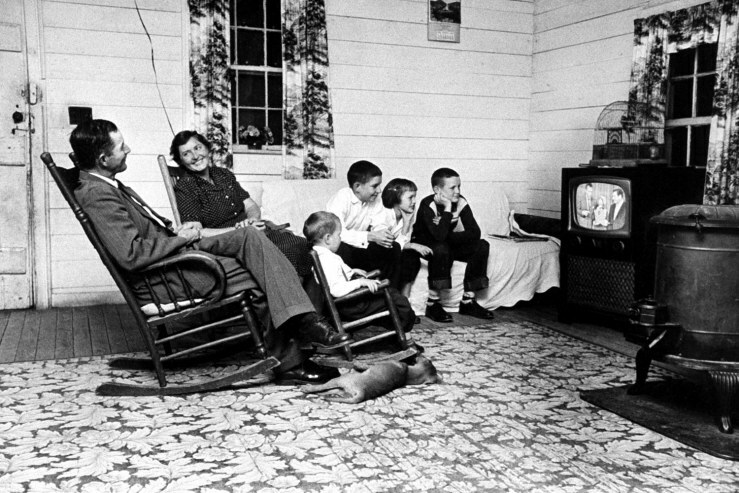 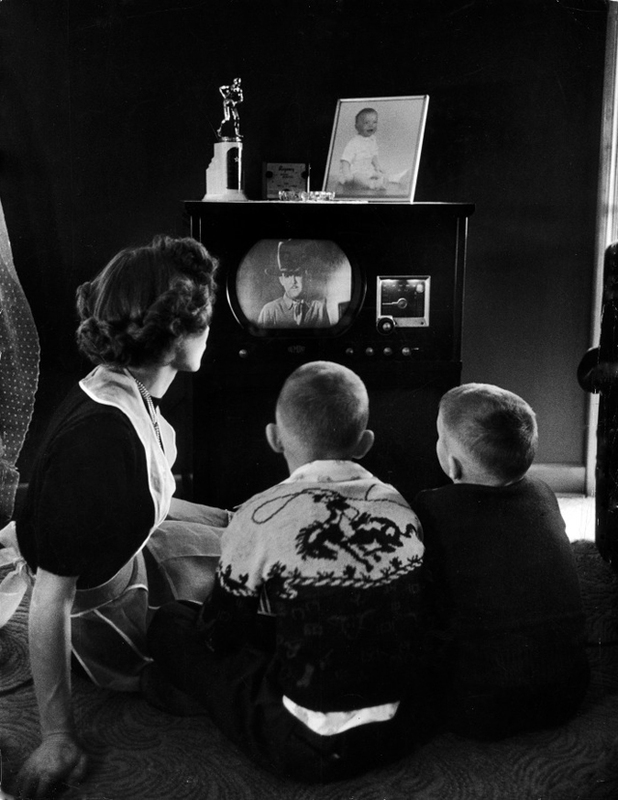 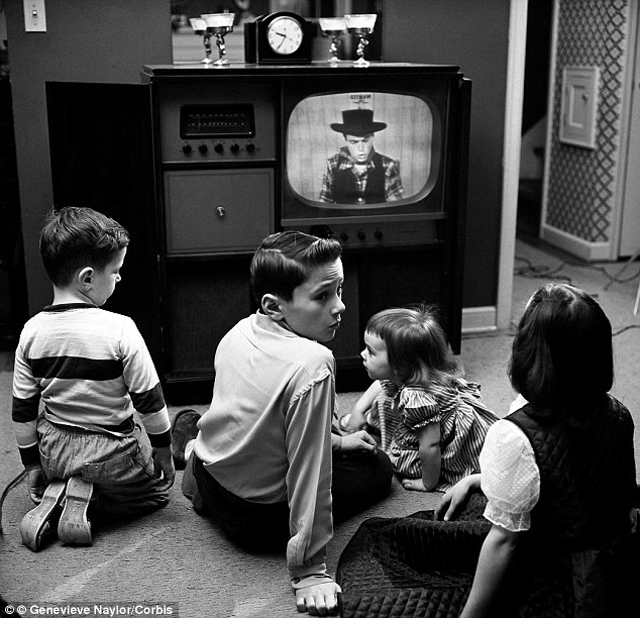 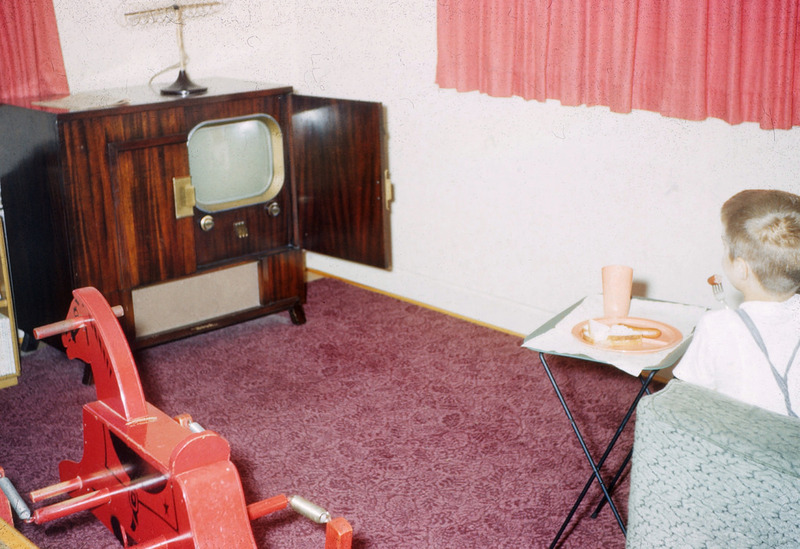 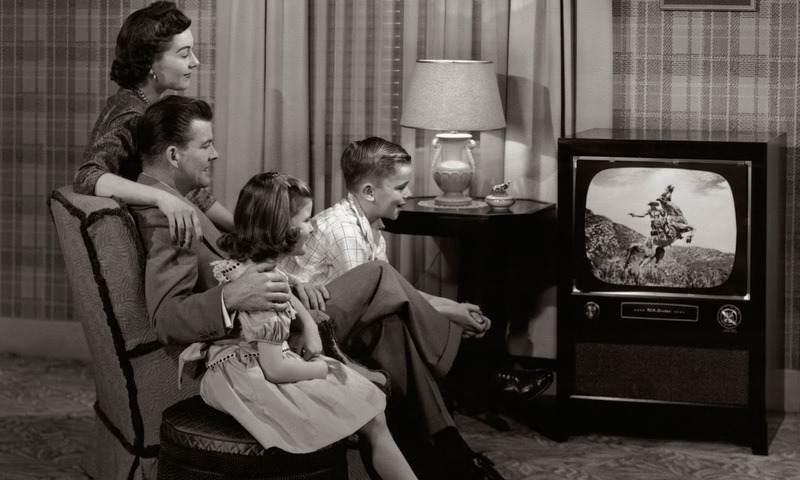 Take a look at these lovely vintage photos to see children entertained by watching television in the past.